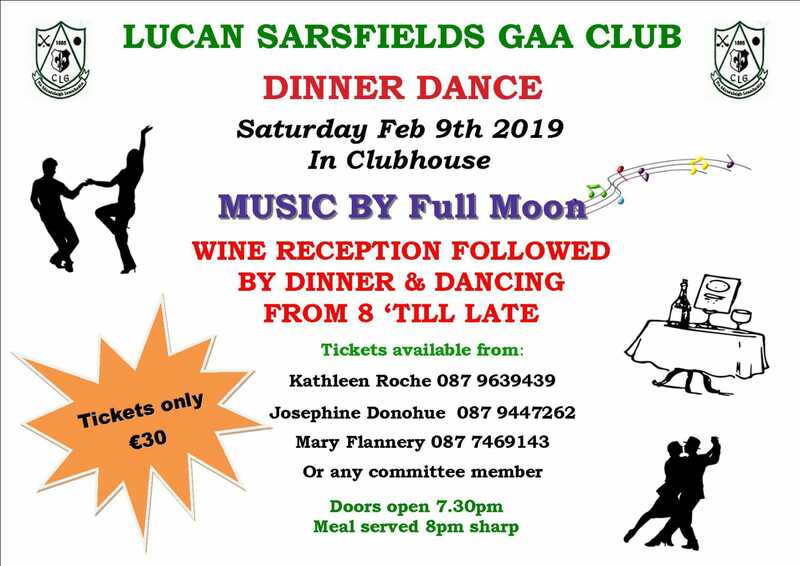 Our 3rd Annual Dinner Dance is on Saturday the 9th February , this very popular event is a ticket affair and tickets are limited so don’t miss out contact Kathleen Roche 087 9639439, Mary Flannery 087 7469143 or Josephine Donohue 087 9447262 asap to secure a place. 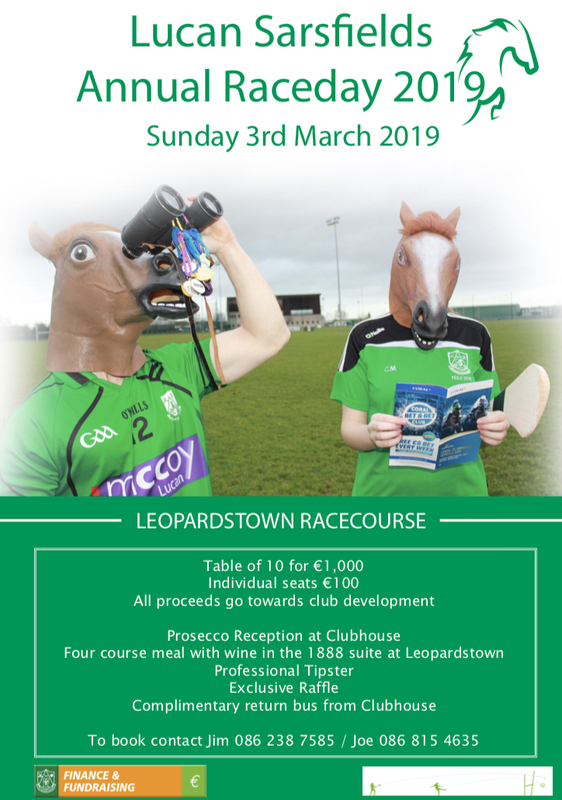 Tickets €30; includes wine reception and a 4 course dinner, and Dancing after with Music provided by FULL MOON. Membership is OPEN now for 2019 and can be paid over 6 month installments through the link. IMPORTANT notice for male players, the County Board have informed us that insurance cover for training and matches is strictly limited to fully paid up club members. Therefore all players who have returned to training need to ensure the register now. In addition, all club managers are requested to return current squad lists to games secretary to enable us to cross-check. Please indicate where there are new players who have joined squads this year. Lots of county action this weekend, well done to Chris Crummy who played for the Dublin Senior hurlers in their opening win vs Carlow, hard luck to Emma Flangan, Ali Twomey, Jessie McClelland who were part of the Dublin Senior Camogie squad who lost to KK in their league opener. There was a great win for DIT/TU Dublin in the Purcell Cup during the week, well done to our girls, Orla Beagan, Emma O’Flynn and Ali Twomey who are with the squad. Also well done to some of our U15 Camogie players who have been selected for the Dublin squad Ashling Behan, Aoibheann Scott, Cara Ware, Cliodhna Ni Bhuacalla, Sophie McIntyre and Hannah Gibbs. Lotto There was no winner of the lotto on the 24th January; Numbers were 8, 21, 24 and 26. Next weeks’ jackpot €10,200, draw will be managed Séamus Clandillon by and is sponsored by Clandillon Motors. Lucky Dips Winners: John McGivney, Pat O’Keefe, Bridie Burke, Kevin+Mary Brennan, Joe Donnelly. Play Online here, Or Tickets can be purchased at the Club, or in Kenny’s Vesey Arms. Club Shop is open Saturdays.